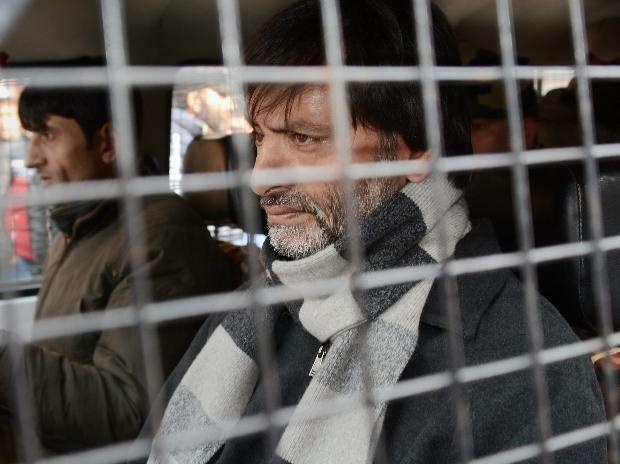 JKLF chief Mohammad Yasin Malik and hardline Hurriyat Conference Thursday termed the Jammu and Kashmir administration's announcement about the withdrawal of security cover of some leaders a "lie". While Malik said he had never received any protection from the state, hardline Hurriyat Conference termed the reports about the withdrawal of security of its chairman Syed Ali Shah Geelani "ridiculous". "I have had no security with me for the last 30 years. So, when there was no security, what withdrawal are they talking about? This is utter dishonesty on part of the government" Malik told reporters here. The JKLF chairman said he never had any security at his residence, office or even at his public rallies and he had turned down offers for it several times. He termed the notification a "lie". A spokesperson of the Hardline Hurriyat Conference said, "Media reports of 'withdrawal of security to Syed Ali Geelani are a brazen lie and such ridiculous reports need only to be laughed at." He said the Centre and state government were trying to hoodwink the world by "false propaganda" and added that Geelani was neither provided any security, nor had he requested for it. The government had Wednesday said the security of 18 separatist leaders, including Malik and Geelani, would be withdrawn. A spokesperson of the Home Department said it was felt that providing security to these separatist leaders was "a wastage of scarce state resources which could be better utilised elsewhere".